House of Herbs Medical Herbalists are located in Room 3 on the ground floor of 12 Broad Street in Stamford. Access to our clinic is by appointment only. 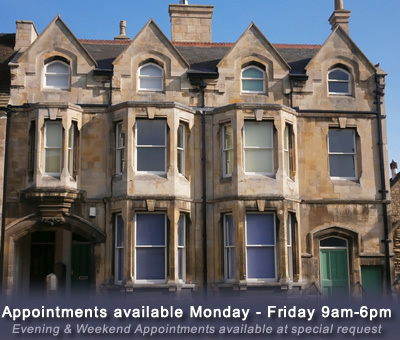 To make an appointment, FREEphone 0800 6893412 (press '2') or fill out this enquiry form or email info@houseofherbs.co.uk. Click on the links above to find out more detailed information. All Medical Herbalists at the House of Herbs are members of The National Institute of Medical Herbalists (NIMH), the UK’s leading professional body representing herbal medicine practitioners. They are fully insured and have passed all Disclosure and Barring Service (DBS) checks. NIMH sets the profession’s educational standards, maintains mandatory programmes of professional development and provides codes of conduct, ethics and practice to which all members must abide. Both of our medical herbalists currently practicing at House of Herbs have First Class Honours Degrees in Herbal Medicine.